UPDATE: Sears Holding Company has now posted a new entry on its blog with instructions for customers affected by the layaway fiasco. We are in the process of contacting our customers and members who have received inadvertent cancellation notices for their online layaway contracts. This issue is specific to online layaway contracts for ship to home and does not impact in store layaways. We are very sorry that this has happened – and we know this is a special time of year for families. We are working hard to make things right. Yesterday, after we posted a story about Kmart customers who’d been told that many of the items they’d paid for on layaway had been canceled, with the fate of refunds for many of those people up in the air, we heard from many Consumerist readers who are in the same boat. 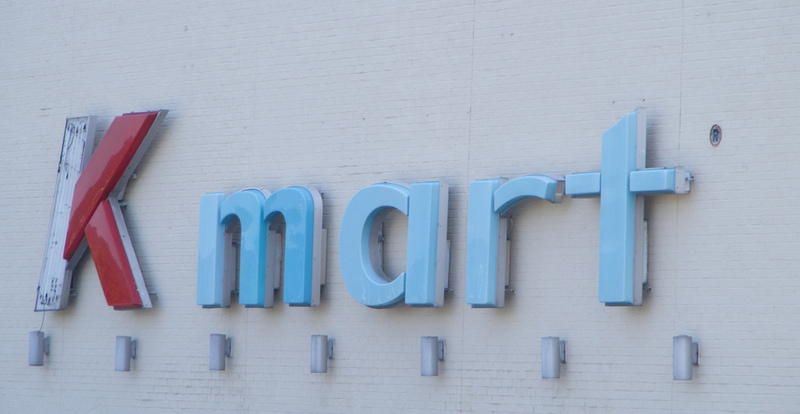 Kmart contacted Consumerist to issue an apology for what is still a very confusing situation. When we started combing through our readers’ tales of woe over the Kmart situation, many said they’d later received yet another notice about their layaway items, saying that their entire layaway contract had been canceled. This, after many items had already shipped or arrived at their homes. Confusing, but the sort of good news is that Kmart says it somehow issued “inadvertent cancellations” on contracts, without saying how many were affected. We deeply apologize to our customers affected by this online layaway issue. Some of our online layaway customers received inadvertent cancellation notices on their layaway contracts and have not received certain items they ordered through online layaway. This issue is specific to layaway contracts online for ship to home and does not impact in store layaways. We are in the process of contacting those customers who have been affected and are working with them to resolve the issue. Not all of their contracts were cancelled and many of them have already received some of the items that they ordered through online layaway. For the undelivered items, we’ve been able to find many of the items through our supply channels and are leveraging alternative sources to try and locate the remaining items. We are sensitive that this is a special time of year and are working hard to find and deliver these items to customers before the holidays, including expedited and free shipping to those affected. The gist of that is — Kmart is scrambling to fix things, if it can. In some cases, it appears to be working, as our readers have reported items arriving even after the notice that the entire order was canceled. We’ve asked Kmart to clarify the best steps customers can take to get their situations resolved and cleared up, and will let you know what we hear. Lisa writes that she received an apologetic email from Sears offering to procure “similar” items at a discounted rate, “but they were not similar at all so they said they would issue me a $20 gift card which was supposed to come yesterday and I’m still waiting on,” she says. Another reader, Christina, sent Consumerist a copy of the letter she sent to Kmart and posted on the company’s Facebook wall about her ordeal — she had paid off her layaway order in time for Christmas and now that her items weren’t coming, she couldn’t go shopping as a single mother with three kids in tow. She says local media arrived at her home and did a story on her plight, and from then on, things worked out. Magic. She also received a call from Sears Holding’s corporate office she says, asking if she was satisfied with the resolution. Christina writes that she is satisfied now, but reader Jessica, who wrote to us yesterday, says not so much. She adds that she also got another email canceling her entire order, only to then receive an item she thought was canceled… but it’s broken. Sigh. “I received the part of my shipment that wasn’t canceled. I had ordered this [mixing bowl] set for my daughter for Christmas. The largest bowl is completely shattered in the box, which means now I have to deal with attempting to return something to this horrid company,” she says. We’ve heard from many of our readers so far about canceled orders with varying results — keep the emails coming and let us know if and how your situations have been resolved, if you’ve received full or partial refunds or replacement items that suit you: Send an email with the subject line KMART LAYAWAY to tips@consumerist.com.